The company’s SkyView HDX STC for the Cessna 172 has a number of new capabilities. Dynon announced this week that it had added approvals to a number of components that together with its flat-panel display comprise the company’s avionics offering as part of the FAA’s approval of avionics developed for the Experimental amateur-built market into Part 23 certificated aircraft. The “core” of the company’s SkyView HDX system consists of the 10-inch HDX primary flight display with integrated flight instruments along with the company’s EFIS-D10A standby instrument. The new approvals for the Cessna 172 adds a second 10-inch or 7-inch Dynon display, a dedicated, separately mounted control panel, a flight control panel, ADS-B Out and In and engine monitoring. Also available is an “IFR connectivity kit,” which allows the system to interact with a certified IFR approved GPS/WAAS navigator. 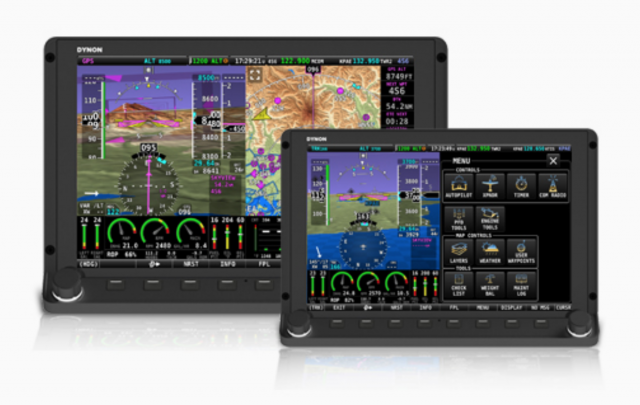 Skyview HDX boasts a touchscreen primary flight display (PFD) with synthetic vision and angle-of-attack, autopilot, mapping with flight planning, ADS-B traffic and weather and engine monitoring. The system also includes a Mode S Transponder so there’s no need to install a separate 2020-compliant ADS-B Out solution and flight planning and mapping, with charts, airport diagrams and procedures. Installation of SkyView HDX doesn’t change aircraft certification basis or operating limitations. Primary flight instruments are fully IFR capable and the system is compatible with popular IFR navigators like the Avidyne IFD series and the Garmin GTN/GNS series. SkyView HDX pricing starts at $11,375. For more information click here.